Eric Kandel writes with verve and flair, reflecting a career-long immersion in psychiatry, psychology and neuroscience – culminating in his delineation of the neuronal basis of learning/memory for which he won a Nobel Prize in 2000. The opening chapter of the book recounts his escape from Vienna as a young boy when Hitler invaded Austria. This had a major impact. It forced him to ask some fundamental questions: ‘How can one of the most advanced and cultured societies on earth turn its efforts so rapidly towards evil?’ and ‘How do individuals, when faced with a moral dilemma, make choices?’. Unlike many others at that time, Kandel searched for answers not in radical political and sociological theories but in ‘…trying to understand the inner workings of the brain and the motivation for human behaviour’ – his approach asked ‘questions that could be answered more definitively through scientific research’. Kandel also sought an answer to the clinically relevant question ‘Can a splintered self be healed through skilled human interaction?’. As the book illustrates, he ‘became a psychiatrist in the hope of understanding and acting on these difficult problems’. The book moves on to important scientific backdrops: the pioneers in neurology and psychiatry who shaped the field; how neurons work; modern approaches to brain disorders; genetics; brain imaging; and animal models. The chapters that follow then survey a diverse range of disorders, revealing the (dys)functional aspects of the mind: autism, in relation to social and communicative behaviours; disordered emotion in depression and bipolar disorder, in relation to the integrity of the self; schizophrenia, in relation to decision making; memory and dementia; creativity/art and the brain; movement disorders, comprising Parkinson’s and Huntington’s diseases; conscious and unconscious emotion, especially how emotion guides choice behaviour; the addictions and the biology of pleasure; sexual differentiation and gender identity; and then consciousness – ‘The great remaining mystery of the brain’. Truly, a remarkable range of disorders, processes and mental states, the study of which promises not only the unification of neuroscience, psychiatry and psychology, but also the development of personalised medicine guided by the individual’s genetic disposition to health/disease and response to treatment. There can be little doubt that study of the biology of the brain has made giant strides. But how best to creep up on the elusiveness of mind? 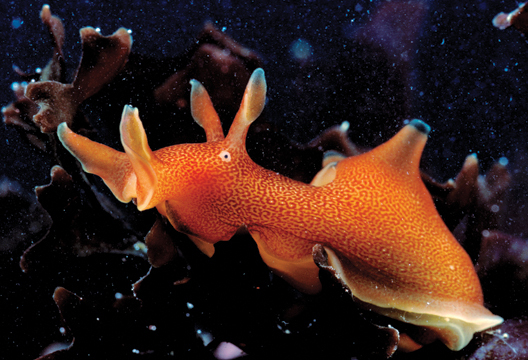 Perhaps surprising to some, especially as he was psychoanalytically trained, Kandel focused not on the equally elusive Id, Ego and Super-ego, but on the small assemblies of neurons in a simple animal (the sea-snail, Aplysia). This started the building of a grand plan to study neural and psychological processes all the way up to apes, including humans. He soon realised that it is the connections between neurons that instantiate learning and memory; and as they can be altered by experience, so too they can be modified by disease and injury, and faulty wiring during development – and in later years, diseased in the dementias and other neurological disorders. As the book chronicles, Kandel played a pivotal role in the emergence of the new biological science of the brain–mind, synergised by the coming together of philosophy of mind, cognitive psychology and neuroscience. This bold approach stakes the claim that ‘our mind is a set of processes carried out by the brain’. However, unlike many other neuroscientists, his perspective strives for an integrative perspective: incorporating Darwin’s insights alongside the potential of psychoanalysis to make a meaningful contribution – a prospective laid out in Freud’s 1895 neurologically inspired call for a Project for a Scientific Psychology. In spite of the many significant achievements in brain science over the past century, Kandel’s book makes clear just how little we know about the scientific nature of subjective conscious awareness, and knowledge as to how it can possibly be generated by the objective processes of the brain (i.e. the Hard Problem) remains beyond our grasp. The, so-called, Easy Problem is much more tractable – namely, the description of the neural and cognitive correlates of consciousness, which some (notably Francis Crick and Daniel Dennett) hope will eventuate in the dissolution of the Hard Problem, although other neuroscientists (e.g. Jeffrey Gray) are less bullish. Whether the amazing advances in neuroscience has got any closer to understanding the true nature of the mind remains a moot point, although we can sleep tight in our beds in the knowledge that it is related to the brain! Neuroscience now has some very well laid plans – yet, it is still to be seen whether solving the problems of the brain dissolves the mysteries of the mind.